Heya, everyone! It’s time for the second interview from our #WCEU series. If you missed our first interview with Hajj Flemings, be sure to check it out when you get a chance. 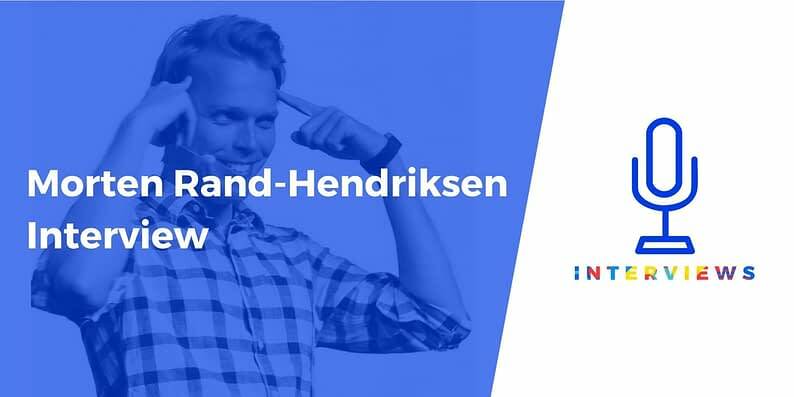 Today, we’re sharing an insightful interview with Morten Rand-Hendriksen about ethics in web design. For the first time, Themeisle was an official WordCamp Europe media partner, which gave us a great opportunity to catch up with some of the conference’s many interesting speakers. 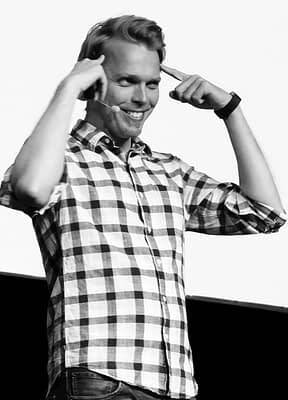 If you are familiar with WordCamps, then you have seen a Morten Rand-Hendriksen speech. Not only is he a great WordPress speaker and contributor, he remains a much-loved teacher and instructor from LinkedIn, Lynda.com, and Emily Carr University of Art and Design. He also finds time to regularly publish articles and books on web design, web standards, design, and UX. He has also been known to dabble in philosophy. In this interview, Morten shares his insights on ethics and web design. Ethics in tech is a hot-button issue. As a variety of platforms, business strategies, and networks mature, we are seeing some negative impacts bleed into public life, most notably in fake ads during elections, fake stories, wild rumors, and more. It is in this context that Morten developed his ethical framework for web design. Not a web designer? Don’t go anywhere just yet. You’ll still find some interesting nuggets in this interview, for sure! Because this interview was originally a video, we’ve slightly edited the text version for clarity and brevity. If you want to see the original videos, though, you can click the embedded Tweet to the right. Make sure to click to see the full thread of videos, as the embedded Tweet only shows Morten’s answer to the first question. Now that the Morten Rand-Hendriksen interview is Twitter limit friendly we posting it in a single thread. What do you mean by ethical web design and how is it different from user-centered design? So, ethics in web design is about thinking carefully about what happens when you make design decisions. I like to say that when you make a design decision, you’re actually making decisions on behalf of other people. When you think of it like that it becomes very different. So instead of saying “We’re going to add this button here because it makes people convert and buy more stuff.” If you instead think you’re now making a decision on behalf of that person that they need to buy something from you, or they need to click on this button to subscribe to your newsletter, or whatever. It changes the conversation, and it’s something that more and more people are talking about now because we basically, 25 years ago, started this huge social experiment. Accidentally where all of a sudden we just put a ton of content on the internet and everyone just went crazy. A lot of the decisions that were made early on about how we do things, and the kind of services we provide, over time have turned out to be really bad decisions that have then piled on top of one another and created these huge problems. So, what you’re seeing with social media right now where the way people behave on social media, or the way social media makes people behave actually alters people and alters their behavior and alters the society they live in. And, it’s all done to get people to click on ads. If we thought about that in the beginning, we wouldn’t have done it that way. It turns out that a lot of people in the beginning were thinking about that and kept saying “You know if you do this then bad stuff is going to happen” but then everyone was like “Oh who cares about that? It’s not that important”. So ethics is that; it’s taking the time to think through what you’re doing, why you’re doing it, and how you’re doing it, what you become by doing it and what happens when you do it. So that instead of saying I’m doing this because I want some result you’re actually thinking through the process. The other part of it is, because you were asking how this is different from user-centered design, I like to say that it’s capability-centered design. What is capability centered design? You think about what capabilities you either give or take away from the user in your design options. Instead of just thinking about what the user can do, you think about how does that change their life, what kind of future do they end up in if you do this. It’s easy to say that ethics is a list of things. You say “I do this that’s why I’m ethical”. Ethics is actually two things: it’s a way of thinking about the world, but the second part is it’s a tool that you can use to evaluate your decisions. So, when you’re talking to philosophers, like me, about ethics, what we’ll say is that ethics is basically a craft for figuring out, or judging, the rightness or wrongness of an act, and figuring out a way of doing that in an objective way. So, if you say you want to do something I can give you a judgement and it will be my moral judgement based on my personal ideas. Which is a very subjective thing. Ethics will then say is there a way we can make it so that everyone can agree to some sort of structure so that you say “I want to do this” and everyone would say yes or no, based on that. So, for web design or design in general what we need is a way of building ethical thinking into our process. So that ethics becomes a tool like user research, like personas and all those sorts of things that are a natural part of the process. You go through these steps think through the consequences of what you are doing and how they change the world, before you move forward, in a natural way because then it actually helps inform your designs instead of just being this blanket that you put on top of it to suppress creativity. How do you see ethical web design becoming a process inherent to web design? The first step in the process, I realized, was helping people to understand what ethics is and what it isn’t. It is not a list of right and wrong actions. It’s a set of tools and skills you can use to evaluate every situation in the context. In certain circumstances, doing something can be the right choice; in certain circumstances it can be the wrong choice. And you have to decide how you figure out why; why is it the right choice here but the wrong choice here. Then you need to kind of roll back and say what are the causes of this. So, what I’ve come up with, and what I’m presenting today, is this notion of to do this, instead of picking unethical theories, because there are all these different moral philosophies, instead of picking one, why don’t we use all of them? Take the best parts of four different moral philosophies and put them in kind of a chain. Then say for a decision to be a good one that I feel comfortable with it needs to pass tests on all these philosophies because each of them will have holes in them. Like deontology is a great idea except there are all these use cases where it doesn’t work, and it’s actually bad. Consequentialism is great except for all these things. But then if you say consequentialism has these problems which can be solved by deontology, which has these problems that can be solved by virtue ethics, which has these problems that can be solved by a capability approach, and you can stick them together. And you think that sounds crazy complicated, but it’s not. It’s actually super simple because, well, you can make it as complicated as you want but it can start very simply. Start by asking one question: Why am I doing this? You’re more thinking “What information will enable the user to make the right choice?” Because this boat might be the wrong choice and we need to make sure that people don’t accidentally buy the wrong boat. That’s the first question. The second question we ask is “Who do I become when I design this? What do I believe in? Am I comfortable with who I become by doing this?” So when you make a decision you’re not just thinking about the business itself you’re thinking about what kind of standard you set by doing this. And, that’s where all these codes of ethics and everything come in, that’s virtue ethics. Like I aspire to be this and I’m going to model that kind of behaviour in my design process. Then by those four questions, you’ve now used the capability approach, virtue ethics, deontology, duty ethics, and consequentialism. And if you can pass those four questions, then you have a better ethical framework. They’re there to start the conversation. If you’re an entry-level person in a company these four questions give you the tools you need to go to your boss and say “Hey there’s a problem, and here’s why”. Instead of saying I don’t feel right, you can actually say there’s a problem and this is why. You can walk through the process with them. Is it possible to ethical in the digital world when everyone is so easily offended? There’s no such thing as being 100% ethical. So, when you’re talking about ethics you’re not actually talking about a definition of right and wrong. There’s no such thing as right and wrong decisions; it’s all grey. The question is in what direction does it lean and does it lean very heavily in one direction? Is that ok? What you often see is people will pass moral judgments on things; it’s tricky because you have two terms – ethics and morals. Ethics is the science of morals, and morals are the foundation of ethics. So, the way it works is: you can think of morals as I may have a personal opinion about the something like the pruning of trees. I am against the pruning of trees; you should never cut trees because its bad for the trees, right? I can try to convince you that it’s a bad idea and I can try to convince the world that it’s a bad idea. There’s a very small chance that everyone will be “Yeah, let’s stop cutting tree right now”. But, I can have that opinion and that is my moral judgment of the world. To make that into a system you have to then say can we create some sort of process where we can objectively judge the cutting of trees. So that the majority of people feel comfortable with the process. And, in that not say you can or you can’t but more say this is how we adjudicate whether or not it’s ok. So, we agree on a method and then the outcome depends on the people involved and it becomes more flexible. The danger is that you get subjective or moral relativism where each individual person can justify anything because it doesn’t affect them. That’s the problem with a lot of these theories seen as individual theories. Consequentialism often leads to moral relativism because you can say “I personally think that these views are irrelevant”. They’re not irrelevant you just decided that, but you’re comfortable with that so that’s fine. With duty ethics, you can say “Well, I think everyone should have crypto miners on their websites”. Other people will not agree with you, but you can say that and feel comfortable with it. What ethics does is it allows you to say “No. Before you put those crypto miners on your site we have to have a conversation about this”. And actually, map out what that does to the world. After that conversation, if you still want to put crypto miners on your site, you’re welcome to. Fine, but everyone else is not going to do this, right. And, you’re probably not going to get anyone on your site anymore because everyone is going to be aware of it. But, it gives you this way of talking through it. It’s less about making a list of rights and wrongs than giving you the tools to help discuss it and figure out what’s actually going on. And, why you feel strongly in one thing and someone else feels strongly in another. It opens the door to communication. No, it doesn’t. If you think about ethics as a moral blanket, then it does. You can imagine a government entity being like “Red is wrong. No one designs with red anymore. It’s bad for the eyes”. That would kill creativity. The moralistic blankets that exist usually come from a position where someone wants to impose their view of the world onto other people. The difference between that and ethics is that in ethics we use tools to help each individual judge the situation in an objective way. And allow them to have a conversation with other people to figure out what is this. Whereas the moralistic approach is to say we have defined what’s right and wrong. When we talk about ethics people often say “I don’t want someone to tell me what to do.” That’s not what it is. It is someone saying “Here’s a set of questions you need to answer and be comfortable with answering and have conversations around before you make this decision”. Which is totally different; it’s not the same thing at all. Once people realise that they see that when you start asking these questions you actually discover opportunities in your design that you previously didn’t see. If you have a client and they want to do something; they want to get people to sign up to their newsletter. If you say “What capabilities does this newsletter give them? What is the value to the end user in this newsletter? What does the end user get out of it? 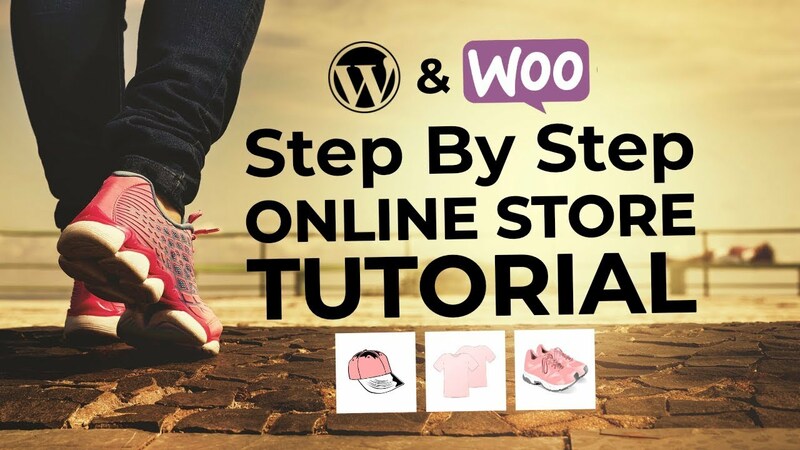 And, not only get out of it, but how does it make their life better and open the door to more things for them?” Once, your client can answer that question their newsletter will be much easier for people to sign up to. It will be something they actually want, something they care about, something that does something to them. It changes the whole dynamic of the design process. From saying “we are designing this to meet some company goal” to “we are designing this to help our end user do something.” And because we’re helping them, we benefit from that because they’ll end up buying or interacting. So, it changes the conversation and actually opens the door. I think I said once that ethics in design helps us harness the power of the creative fires without burning down the house. Morten Rand-Hendriksen has set an incredibly ambitious agenda and what he’s trying to achieve is not a simple task. But as he said, this is all about starting the conversation and introducing the tools to help us build a more ethical web. With his passion for the topic and web design, we can see he will remain on track no matter what. And together, the WordPress community, can be a tremendous driver in bringing ethics back into the digital age. What do you think about Morten’s framework? If you find it valuable and want to share your own ideas or experiences, then be sure to leave your questions, thoughts, and suggestions in the comments section below. And while you’re at it, sharing this interview with your connections will help further the ethical debate and provide fuel for the conversation.